In regular Bronsolino-fashion, Action took to twitter today to share the official tracklist for his forthcoming Blue Chips 2 mixtape with his followers. The sequel to Bronson and producer Party Supplies‘ March 2012-released first installment will boast features from Ab-Soul, Mac Miller, Meyhem Lauren, along with a “Legendary Special Guest In Which We Can’t Disclose.” One thing’s for sure, the Chef really knows how to build up anticipation, and keep his fans salivating. With no actual release date in place – the tape will be dropping the first day it rains in November – and now with a mystery cameo from a legend in the works, it looks like we’ll just have to keep up with his twitter account to find out more. Touche. 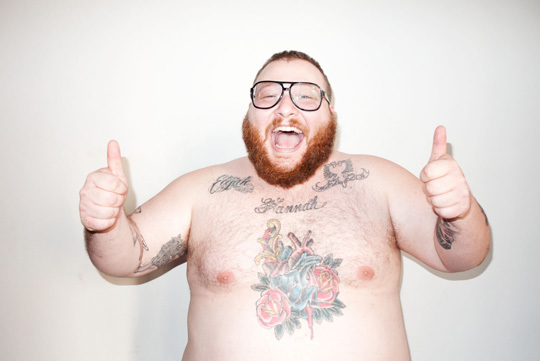 Check out the full tracklist for Action Bronson‘s Blue Chips 2 below, and #PRAY4RAIN come midnight on Halloween.